Houdini is a 3D animation and special effects application developed by Side Effects Software, a twenty-five-year-old company based out of Toronto. Houdini was designed for artists working in 3D animation and VFX for film, TV, video games and virtual reality. Houdini brings these worlds together into a single powerful platform. Side Effects’ former flagship product was PRISMS, a suite of 3D graphics tools that served as the basis for the development of Houdini. 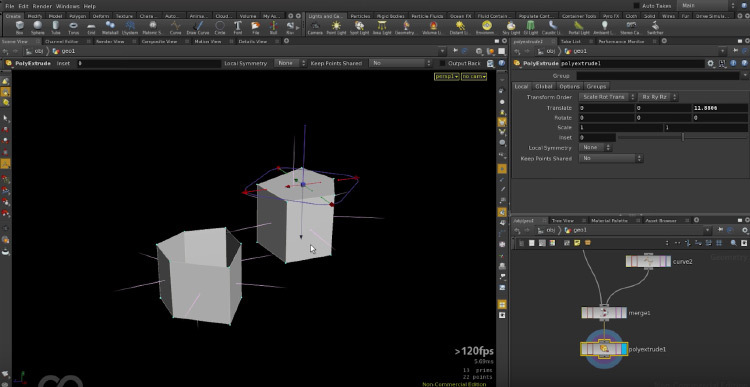 Unlike other 3D animation software, Houdini uses a node-based procedural workflow that makes it easy to explore iterations as you refine your work. Programs like Maya or Blender store changes in a user history which makes it difficult to return to a previous version of your work. Houdini’s unique node-based approach allows for multiple iterations so that its easy to make changes and develop your animations and effects. While Houdini is primarily used for dynamic environments and particle effects, it includes a complete toolset for artists who want to use it for other areas such as modeling, animating, or rendering. What Exactly Does Houdini Do? Houdini is best known for its advanced dynamic simulation tools which allow for the creation of highly realistic visual effects. Houdini features an efficient workflow designed for small studios and individual artists alike. New efficiencies in the software mean that artists can achieve state-of-the-art effects on less advanced hardware. What really separates Houdini from other 3D animation software is its procedural nature. Assets in Houdini are generally created by connecting a series of nodes. The advantage of this workflow is that it allows artists to create detailed objects in a relatively short number of steps as opposed to other programs. While Houdini is known for special effects, it features all the tools you would expect to find in a major 3D program. Houdini offers standard geometric modeling and animation via keyframes. The program ships with the powerful rendering engine Mantra, but also supports 3rd party rendering engines such as Renderman. Houdini brings a procedural approach to character rigging. Characters can be wrapped into a single asset node for use by an animation team. Houdini has a node-based lightning system that provides a flexible work environment for building shaders and creating CG effects too. It features a powerful volumetrics systems for creating smoke and fire simulations, as well as a compositor for layered image effects. Houdini has an open environment and offers scripting through a variety of API’s, but Python is the language of choice for most packages. Internal scripting allows for the automation of certain tasks as well as the creation of custom tools and plugins. It’s a really versatile program! The procedural nature of Houdini enables a non-linear development that is both powerful and flexible. The procedural aspects of Houdini can be leveraged to speed up production and simply the 3D workflow. Houdini is particularly suited to visual effects artists with a technical background. It provides all the editing tools expected in 3D software but is most known for its VFX tools and the node-based procedural nature of its workflow. Beginners should note that Houdini has a steep learning curve due to the procedural design of its features. The key to success with Houdini is an intimate knowledge of mathematics and algorithms. For this reason, Houdini will be easier to learn for those with a background in programming and mathematics, such as technical artists. Users with these skills will find Houdini to be much more flexible than competing 3D programs such as Autodesk Maya and 3ds Max. Artists who can learn the software successfully will find that they generate many effects without the need for any traditional artistic interaction. Teams will enjoy working with Houdini because every part of the project can be easily modified at any point in the development process. No project remains finished or closed. Houdini offers a free version of their Houdini FX kit for use by students and hobbyists to create personal, non-commercial projects. Most features from the core Houdini engine are included so beginners can develop their skills using the award-wining software. While the apprentice version allows you to save to disk and render your work, a watermark will be included. 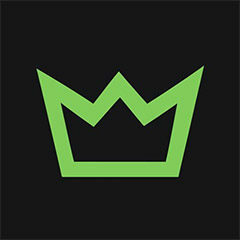 SideFX offers several packages aimed at both independent artists and larger studios. They offer an annual or perpetual license in their attempt to serve the wider market of creative designers. How Is This Used In Creative Projects? Houdini is the complete package for VFX studios working on games, film, and television. Its tools are powerful, reliable, customizable, and built for high end production. The procedural workflow means less expensive work and quicker production. Many big-budget film studios have used Houdini to create award winning effects in their projects. Disney is a notable user, having employed Houdini in the movies Frozen and Zootopia. HBO’s Game of Thrones utilizes Houdini for some visual effects too. Many video games studios also use Houdini for cinematics. Games like Call of Duty and League of Legends are both examples of this. Most studios use a variety of tools to build their projects with a wider toolset. Houdini is particularly useful for creating simulations of clouds, smoke, or fire as well as fluids and cloth. Although Houdini can create entire scenes, fluid-like effects and other simulations are what that the software is mostly known for. 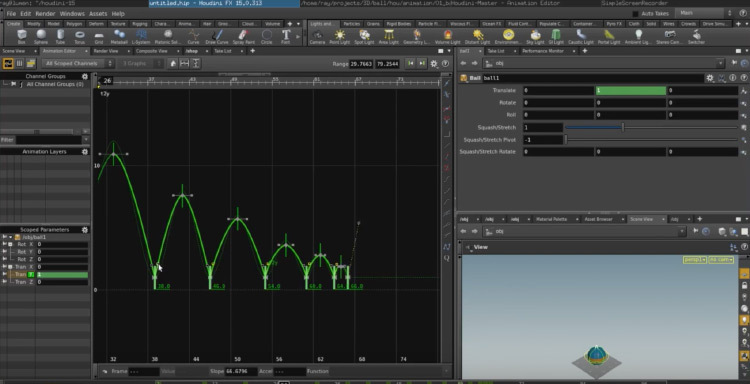 Houdini is powerful when used to build complicated simulations that use a large amount of data. Studios rely on Houdini to build large special effects systems that integrate into complex scenes. However studios will normally use a tool like Maya to handle the modelling and rigging. Houdini will be used to integrate complex simulated effects within already existing film scenes and animations. Technical game artists, visual effects artists, and technical directors use Houdini on a daily basis to build state-of-the art effects and enhance their work with stunning simulated environments.